Geometric prints are still so on trend right now for nursery decor so it’s only natural we want to show you these awesome Bauhaus hooks. Designed by Oscar Diaz for Bauhaus, this set of three geometric wall hooks will absolutely add a pop of colour to any wall, nook or cranny in your home. 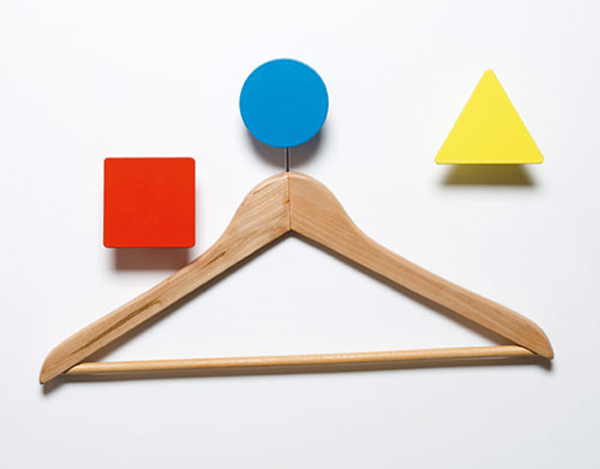 This simple design that’s typical of Bauhaus style is timeless and in the nursery, the red square, blue circle and yellow triangle are not only functional lacquered metal hooks, they can also act as a great starting point for baby to learn their colours and shapes. Each hook in the Bauhaus Wall Hook set measures around a sizable nine centimetres and is priced £44.95 from Molly-Meg.